Julphar, one of the largest generic pharmaceutical manufacturers in the MENA region, along with its alliance partner, MSD, has been shortlisted for the 2018 Association of Strategic Alliance Professionals (ASAP) awards. 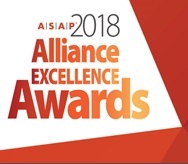 This is the first time a pharmaceutical company from the MEA region has been shortlisted for the award and highlights the contributions both organizations are providing in alliance management to help create a stronger profession. MSD (Merck in the US and Canada) is a global healthcare provider and one of the largest pharmaceutical companies in the world. Julphar signed a five-year licensing deal with the company in 2014, giving it exclusive rights to manufacture, market, distribute and sell certain MSD products in UAE, Kuwait, Bahrain, Oman, Qatar, and Iraq. Commenting on the announcement, Jerome Carle, Julphar General Manager, said: “It is an honor to be shortlisted for this prestigious award. Since inception, our partnership with MSD has helped us to enhance accessibility and create greater value for all our stakeholders”. “Being shortlisted is a clear sign that our alliance is adding value to patients and the healthcare system in the region. It also shows how a global pharmaceutical company can work successfully with another great regional player and create an alliance that brings value to the health community of the region. ASAP is the leading global professional association dedicated to negotiating, planning and executing alliances and other collaborative business relationships. The association provides its member's forums for networking and professional development along with access to tools and resources, while working to elevate and promote the discipline of alliance management. Mazen Altaruti, AVP Managing Director GCC - DSM‎, said: “It is great news to be selected as a finalist in the 2018 ASAP Alliance Excellence Awards. We strongly believe that our partnership adds value to patients in the region and plays an important role in the healthcare industry. Award winners will be announced at the ASAP Global Alliance Summit in Fort Lauderdale, Florida in the United States on March 27th, 2018.